The Hundred Islands, that part of the Philippine archipelago that shares the same prominent spot on textbooks alongside Mayon Volcano and Banaue Rice Terraces, can be found in Alaminos, Pangasinan. The name is a nod to over 124 islands dispersed over the Lingayen Gulf, covering a total area of 16.76 square kilometers. Sometime in June this year, I took the grueling 6-hour trip with 2 others to discover this well-known national park that is the pride of the Pangasinense. 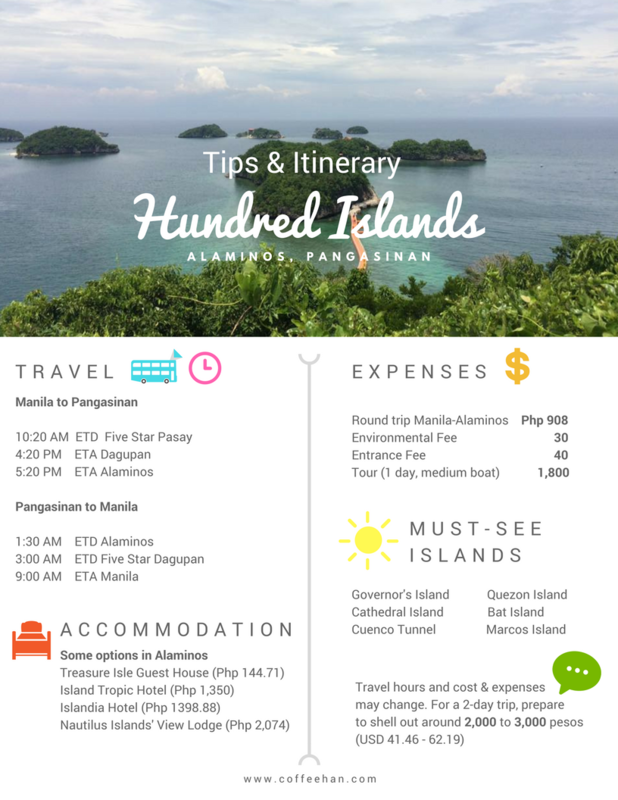 So here’s the itinerary guide to the Hundred Islands including information on getting to the area, finding a place to stay in Alaminos City, as well as the cost and expenses. 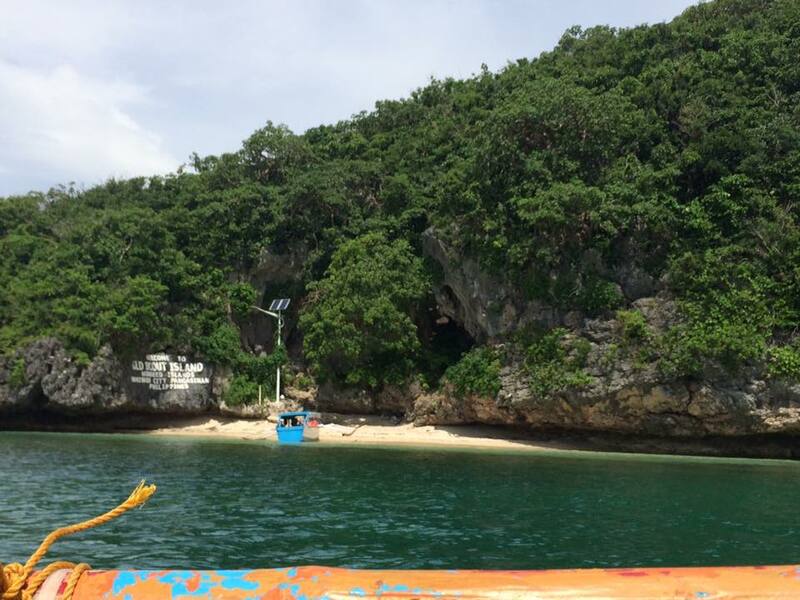 Also, I will give you a quick glimpse of some of the islands that you might see during the island-hopping tour. How much is the Island-hopping Tours? What are the Islands to See? If you are not bringing your own car, get ready to experience the hassle of constant traveling. If we weren’t riding a bus, we were on a jeep, then we’d transfer to a tricycle. Never in my life have I experienced so much traveling on the road than on this trip. From Manila there are two ways you can get to Alaminos. From Pasay take the Five-Star bus that goes to Dagupan; fare is PHP 371 (USD 7.70). Click here to see the complete fare matrix. From Dagupan, take another bus that goes to Alaminos, fare is PHP 68 (USD 1.41). Take a tricycle to Lucap Wharf for PHP 15 (USD 0.31) per head. From Cubao, Five-Star’s rate is PHP 361 (USD 7.49) then follow steps 2-3 written above. All in all, travel time takes 5 to 6 hours, with consideration to the traffic. Victory Liner also offers trips to Dagupan. Click here to see the fare matrix. We didn’t have to rent an accommodation because one of my companions is from Pangasinan; therefore, we stayed in the house of her family. But there are a number of accommodation in Alaminos and Lingayen to choose from, hotels, inns, and guesthouse, some even offer breakfast. If you are on a budget, I’m happy to report that you can find accommodation for as low as PHP 144 (USD 3). But if you are feeling adventurous, why not bring a tent and set up camp on one of the islands? You can do this specifically on the Governor’s Island, Quezon Island, and Scout Island. Camping rate is PHP 200 (USD 4.15). If you want to spend the night over on an island but you don’t want to camp, you can stay at the Big Brothers lodge on the Governor’s Island, rate is PHP 10,000 per night (USD 206.42). Now that you’re in Pangasinan, what should you expect when it comes to the weather? 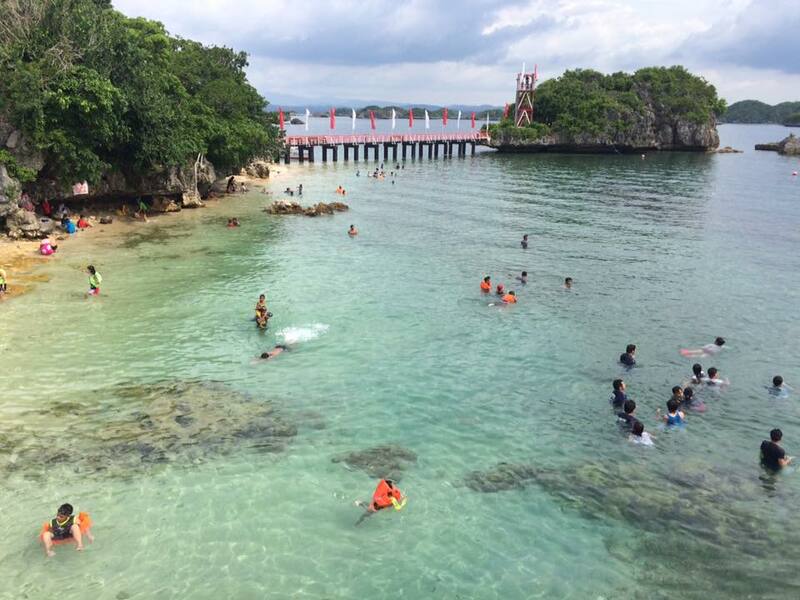 Pangasinan has an average monthly temperature of 27.91ºC. It is dry from November to April and wet from May to October. Just like in most parts of the Philippines, maximum rainfall can be expected in August. In our case, we went in June and experienced the province in arid conditions. It was so hot and dry that it hurts the skin. So be sure to bring sunscreen, shades, and maybe a hat. This is not even a matter of vanity (I know some of you are afraid to grow a shade darker or two) but a matter of health. 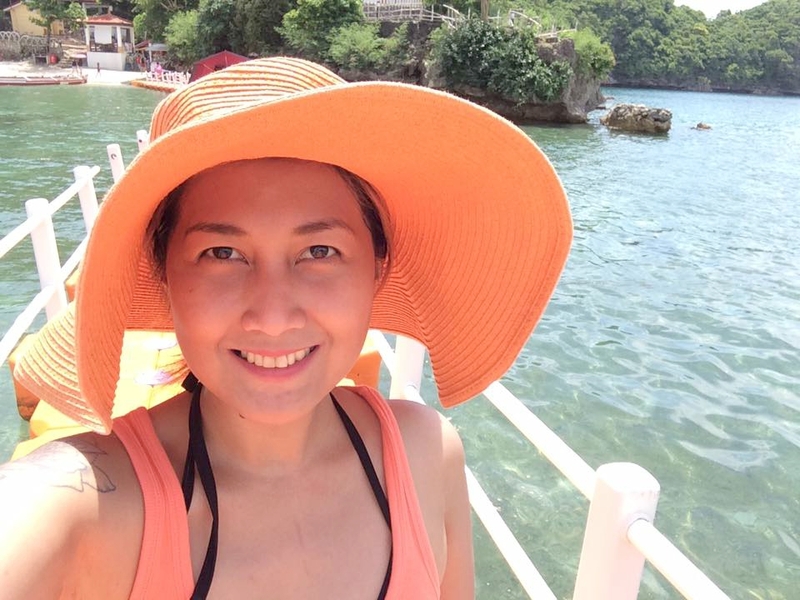 You want to enjoy the province and the island hopping, but you shouldn’t get sunburned in the process. When you reach Lucap Wharf, go straight to the Tourism Office. This is where you can arrange the boat tours to the islands. The boat rental is steep, so unless you have lots of money to spare, I recommend you go with a group. You may opt to share a boat with other tourists just like what we did. There were 4 of us in our group then we met 4 other tourists and agreed to share one medium-sized boat with them. For a one-day tour, that’s PHP 1,800 (USD 37.36) or PHP 225 (USD 4.67) per head. See the snippet below for the complete list of rates. And that’s not the only thing you have to pay. There’s also the environmental fee PHP 30 (USD 0.62) and entrance fee PHP 40 (USD 0.83) for day tour and PHP 80 (USD 1.66) for overnight rate. Estimated budget for the entire trip is around 2,000 to 3,000 pesos (USD 41.46 – 62.19) including accommodation and food. There are 124 islands (123 when it’s high-tide) so do not expect to see them all in a day. Some of them are so small (more like giant rocks protruding from the water) you wouldn’t mistake them for an island. 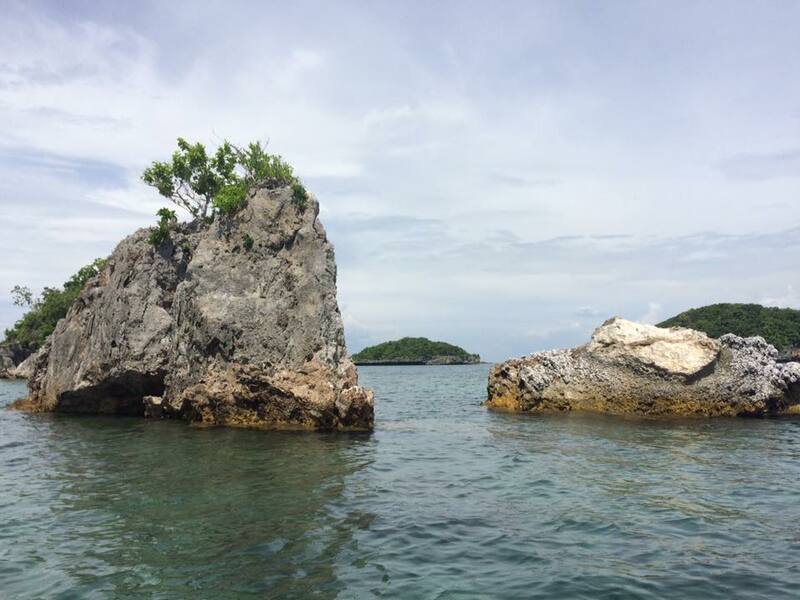 I remember joking that these “rocks” are included in the hundred islands count, which made someone from our boat snicker. Turns out it wasn’t a joke, those giant rocks are in fact islets according to our boatman. Not all islands are accessible to the public and can only be appreciated from afar. One such island is Cathedral Island. It has a huge triangle-shaped crack right in the middle. This hollow space has a grotto inside where you can find a figure of the Virgin Mary. I wanted us to have a closer look, I think our boat could fit inside the cave but according to the boatman, it is forbidden to enter it. Not sure if he was telling the truth because I’d seen some photos of people going inside the cave on the Internet. Some islands were named based on how they appear like the Crocodile Island and the Turtle Islands, which from afar looked like the reptiles they were named after. As the name implies, is home to millions of fruit bats. 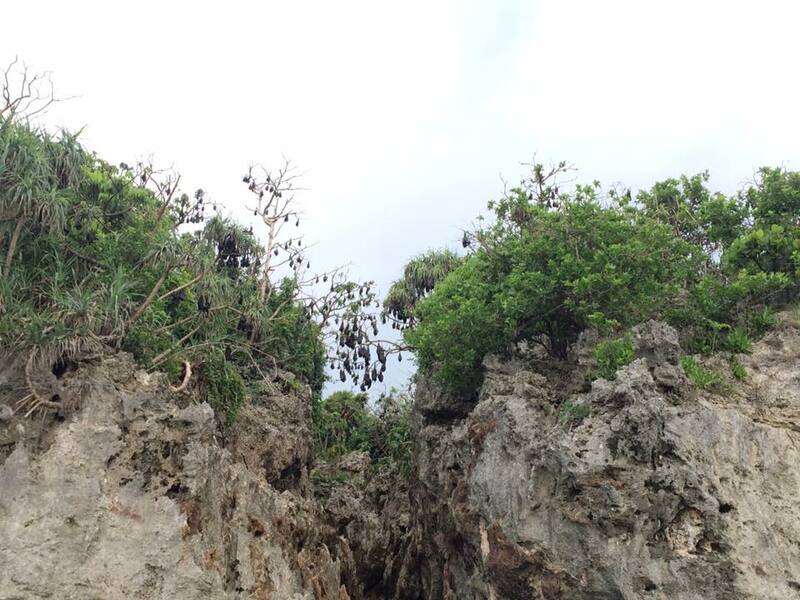 The bats, which were unusually big, can be seen hanging from the rocks and trees. This is one of those islands where people are not allowed to dock. No problem with me because as much as I was fascinated looking at the bats, I was also a little bit crept out at the sight of them. 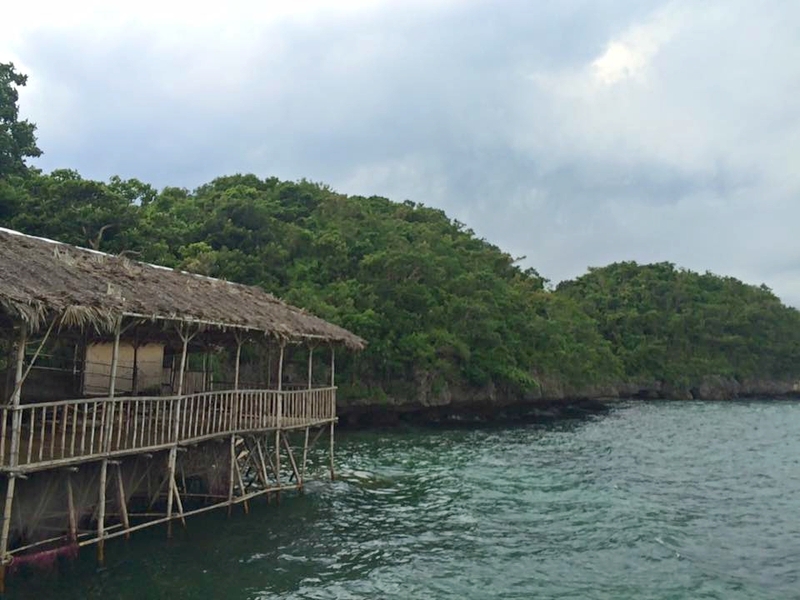 People usually stop by Quezon Island for lunch because it has a restaurant, cottages, and picnic tables. Food here is pricey so it’s recommended to bring your own meal and utensils. Quezon Island is crowded so I do not recommend staying here for long if you are not too keen on dealing with so many people. But this island has a zip line so if you are looking to do some interesting activity, you might want to give it a try. I have never watched Pinoy Big Brothers (PBB), but based on my research, the Governor’s Island became well-known because of the said TV show. 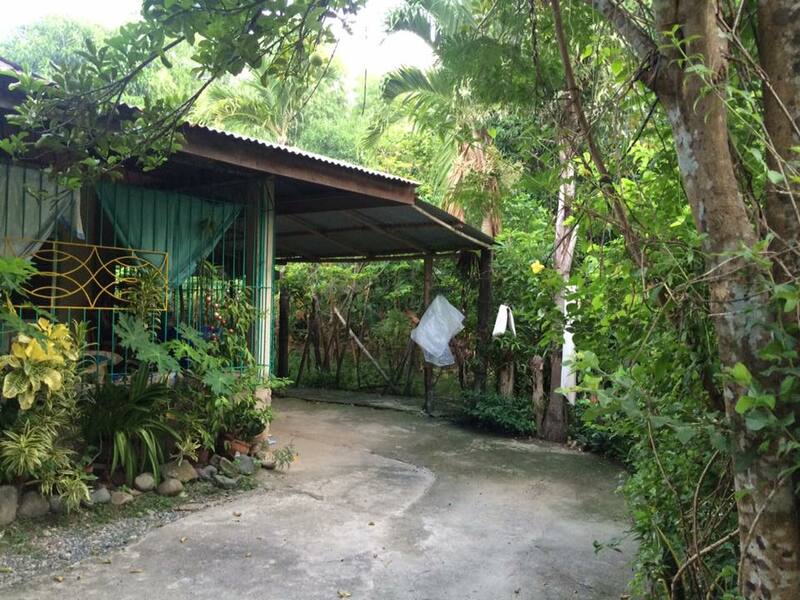 The yellow house used by the housemates remains and is turned into a lodge that people can rent for PHP10,000 a night (USD 207.31). Governor’s has a view deck that offers a spectacular view of the other islands. It requires going up the hill, which in itself was not taxing, but the heat of the midday sun sure made it challenging. Just push through with it because this is where you can find a perfect spot for those Instagram-worthy pictures. 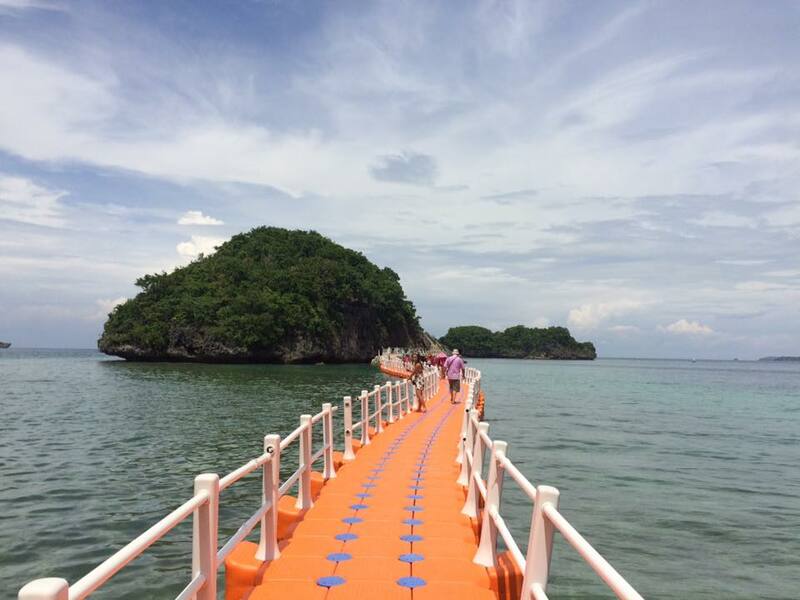 Another unique feature of this island is the floating bridge that connects to the Virgin Island. We did cross the bridge but upon reaching the other side, I realized that it wasn’t even half of the trek to get to the Virgin Island. The sun was beating on us, quickly depleting my energy let alone my patience, so I decided to just go back. 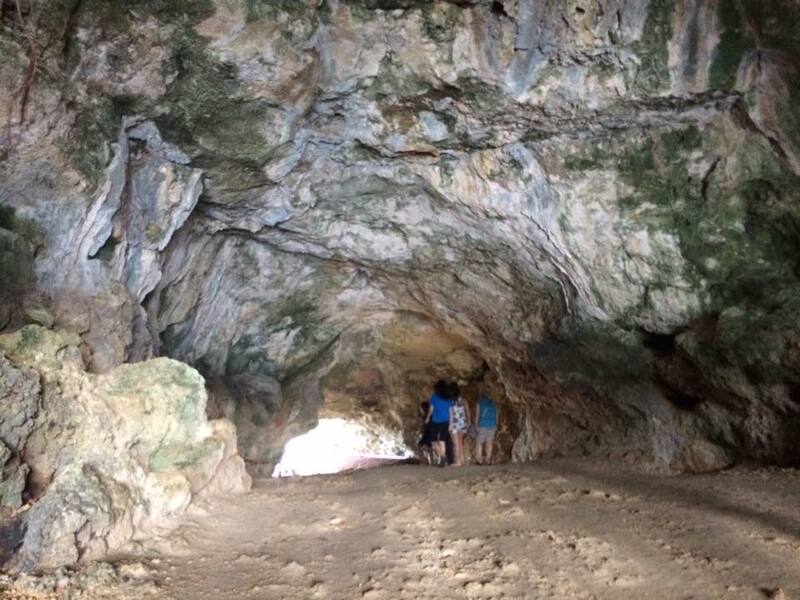 Another island made famous by a TV show (Marina) is Cuenco Tunnel also known as Dugong Island. You enter a cave that opens to an area perched on stilts. From the looks of it, it seems to have a restaurant, or maybe it used to have one, I can’t be too sure. When we saw this place, we felt sorry that we didn’t go picnic there instead. It had a few people, the view of the sea is beautiful, and the wind was cool. It would have been a perfect place to go on a picnic. We were supposed to spend the rest of our free time on Old Scout Island, but the bright skies turned to gray and we didn’t want to risk sailing under the pouring rain, not especially on a boat as small as ours. Our tour began at around 10:00 in the morning and officially ended at around 4:00 p.m. By the way, we didn’t go to Alaminos on the same day that we traveled to Pangasinan. Our tour was scheduled the next day. The Hundred Islands reminded me of the islands and the surrounding islets in Coron, Palawan. If you haven’t been to both, I recommend that you begin with the Hundred Islands. Having been to Coron, where the islands and the sea are a thing of sweet dreams, I was not as amazed by the view of the Hundred Islands. But this opinion is of my own and may not necessarily reflect those who have also been to these two provinces. [Travel Guide to Coron, Palawan]. But I am not going to deny that Hundred Islands hold a certain charm. There is something fascinating about seeing a place in the flesh that was once upon a time just an image on a book. You may download the PDF version of this guide here. What about you? Have you been to the Hundred Islands? Which island is your favorite? Thank you marge for the detailed info you have discussed here. I would like to visit this place too and probably download a pdf copy of your post and use as my guide. Our friend has invited us to stay with them in Pangasinan this summer. We’re planning a trip top see the Hundred Islands. It’s really helpful to have read this. Since it’ll be summer we’ll be taking plenty of sunscreen and hats with us. I hope my kids will enjoy the trip! I read about hundred island before. Some island look similar to “Halong Bay” in Vietnam, which I visited one year ago. May I will visit some day. Thanks for posting. I love the way you provide a detailed account of all the expenses along with the destination guides you write and this post is no different. The pics of hundred isles looks so inviting and with all the details available here, I don’t think I will have to search elsewhere for information to plan a trip 🙂 Thanks for yet another amazing post. This is just awesome that I actually could do the island hoping there! I only went around Manila as I had a very tight time. Anyway, when I am back to Manila someday, I think I will consider this trip. Thank you for sharing. I’d been here years ago, when I was a small kid. Pangasinan is my mother’s hometown. I couldn’t remember much about that trip obviously but I know that there was a moment in the boat where I told myself, I would remember this and these islands which are too beautiful to behold. The visual memories fade but that feeling didn’t. 🙂 I’d also been to other islands in the Philippines and I’m pretty sure that I wouldn’t be too impressed with 100 islands now, same as you, but it’s still nice to read people visiting this place. SO many islands and so many great choices to choose from. Or you can just see them all! The weather looks amazing, you wearing a sunhat. That water is so blue and I love the rocks everywhere. I just want to go in that cave and explore. Love that you brought us with you on this trip. Great pictures and I simply can’t wait to go here! I’m disappointed with myself that I had been to a lot of places in other countries, but I still haven’t been to a place that’s within my reach in our country. 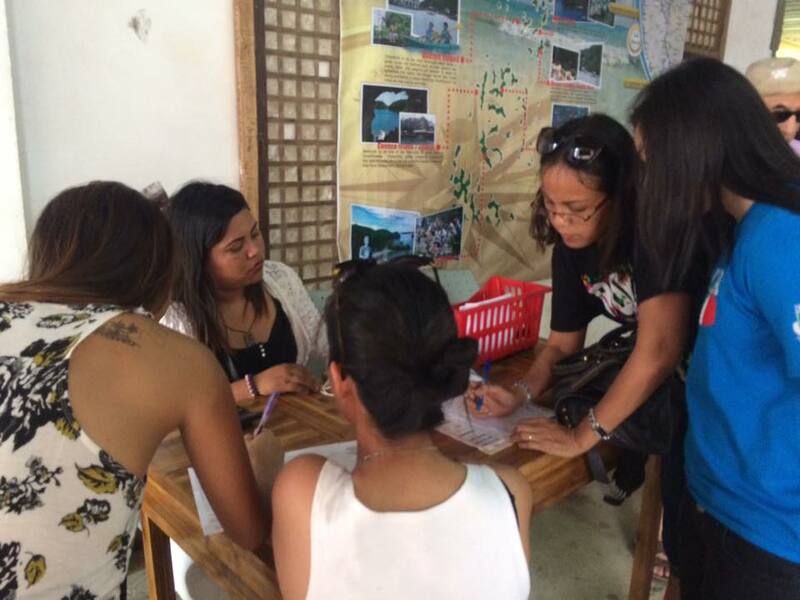 My partner’s family is from Alaminos, Pangasinan and they still haven’t been to Hundreds Islands as well. We’ll use your guide once we push through of going here. I’ll commit myself to going to near places here in the Philippines once I catch up with the back log of our travel posts. Hi Marge, Philippines is getting very interesting these days with the number of blog posts I’ve been reading up. This itinerary for the hundred islands looks pretty awesome to do. Do they have an option to stay on any of the islands for a day. That would be so cool. Light a bonfire, have a small BBQ, I feel like Bear Grylls! I was about to visit Hundreds Islands way back 2014, but it didn’t take place due to unseen adversities. I guess I should plan again to visit this place where I didn’t know that it has more to offer than just a hundred islands itself. I like all the details you have written in here. This will certainly be a big help for me if I get the chance to visit this place again. I’ve been to 100 islands courtesy of the office of the Governor a few years back. It was indeed a very tiring, but worth the hassle trip. two days stay can make the trip sulit- just explore all the islands on day 1, and stay in one island the following day just to enjoy the sea on day 2. Those islands look a lot like the ones in Thailand. I really love the virgin in the cave. 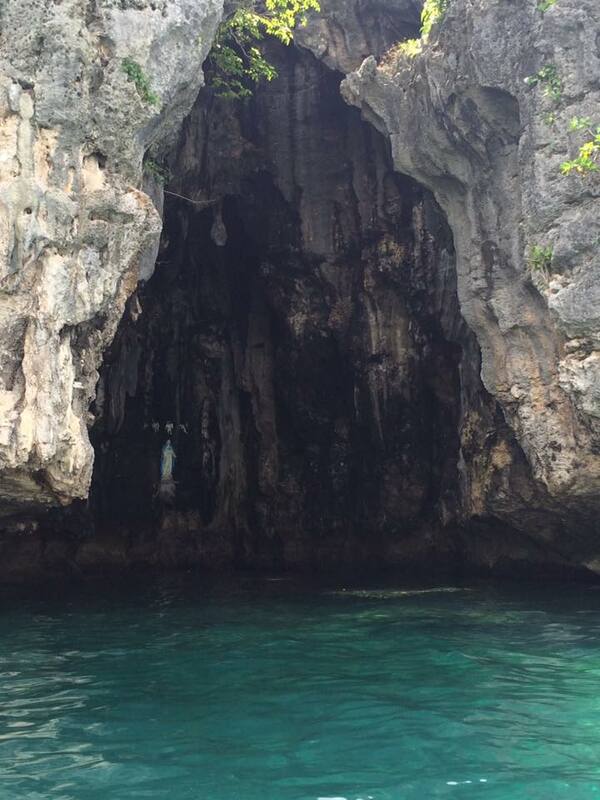 In Thailand there are buddhas and tigers in the caves, I like seeing a virgin Mary in one. I always forget to take a hat hat when I’ve been Island Hopping and end up way too hot and heatstroked. Stunning pictures! The place doesn’t look too touristy, which I do appreciate. Just out of curiosity, what’s the most important religion in the Philippines? The Philippines is predominantly Catholic. The second biggest religion here is Islam. Hundred islands is one of the places I wanted to go in the Philippines. Everytime I visit Luzon, I always have no time for it considering it can be a commute from Metro Manila to there. Anyways. 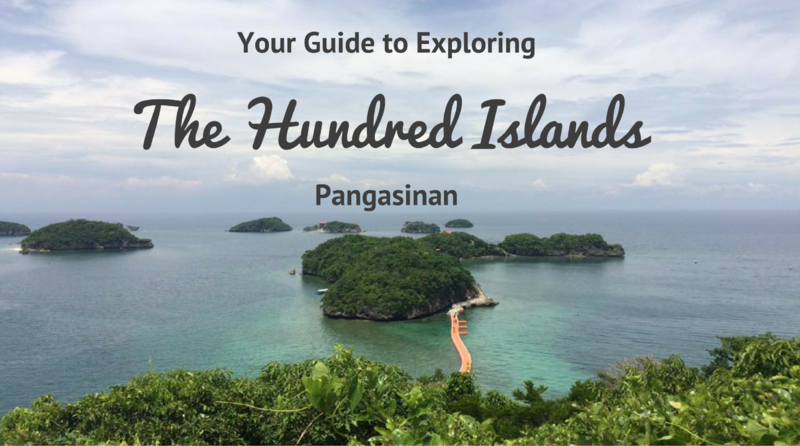 I am glad to stumble upon your blog to know more info about visiting Hundred Islands. I will do my best to visit it next I am in Luzon 🙂 cheers! Oh it looks stunning! I want to go! You have taken some beautiful photographs though so I feel as though I have seen it already. I especially liked the Turtle Island and Crocodile Island photo – they really did look like a turtle and crocodile, didn’t they? How funny! Hopefully I will be able to make a trip there for myself one day. Anytime there is the sea, I will always find it beautiful. Looking at the photos, I was imagining if I were there, I would have been snorkeling here and there. Just to see what’s under the islands. You’re right, I have seen some photos of people with the grotto inside that small cave. Maybe it is not allowed, maybe it is… who cares? So as long as you had fun naman. quiet a few times but never been here. So many islands! How to cover them all and how many days will it take approximately. One consoling factor is that budget accommodations are available there. I have to visit in this life time! Its really difficult to visit them all but glad to see the ones you chose are truly amazing. This is a wonderful guide. I knew that the Philipines is home to thousands of exotic islands, but the Pangasinas 100 islands is indeed a revelation. Hope to get there some day. 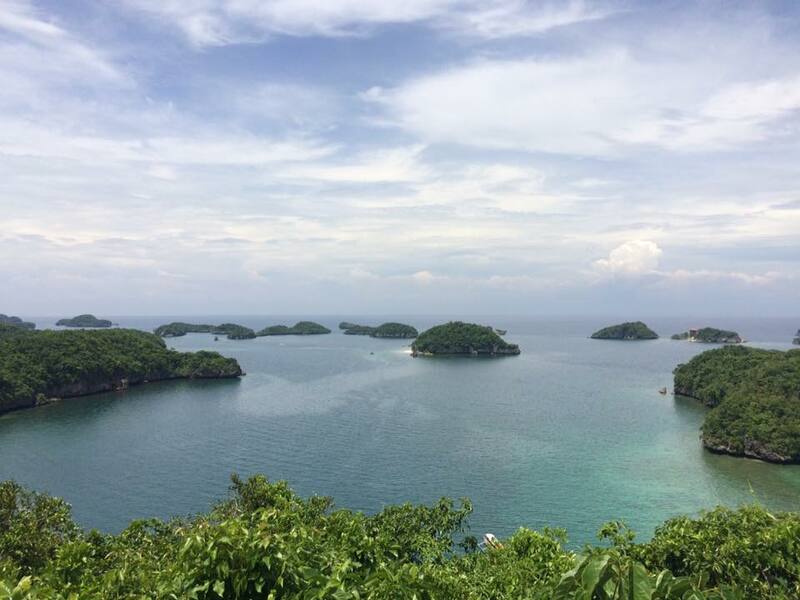 It was a dream come true after we saw Hundred Islands in our school books when we were still kids! Last September, We visited Hundred Islands as a side trip on our way back to Manila after an Ilocos trip. It was a great experience, and the islands are stunning. 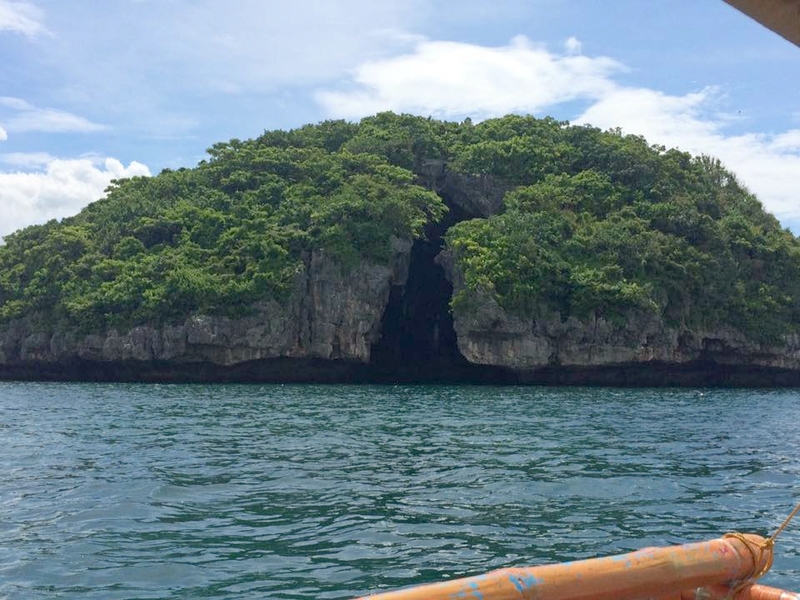 It reminded us of the muffin-shaped islands inside Sohoton Cove in Bucas Grande. But what made it more awesome is that we had the whole archipelago to ourselves because we went there early Monday morning! 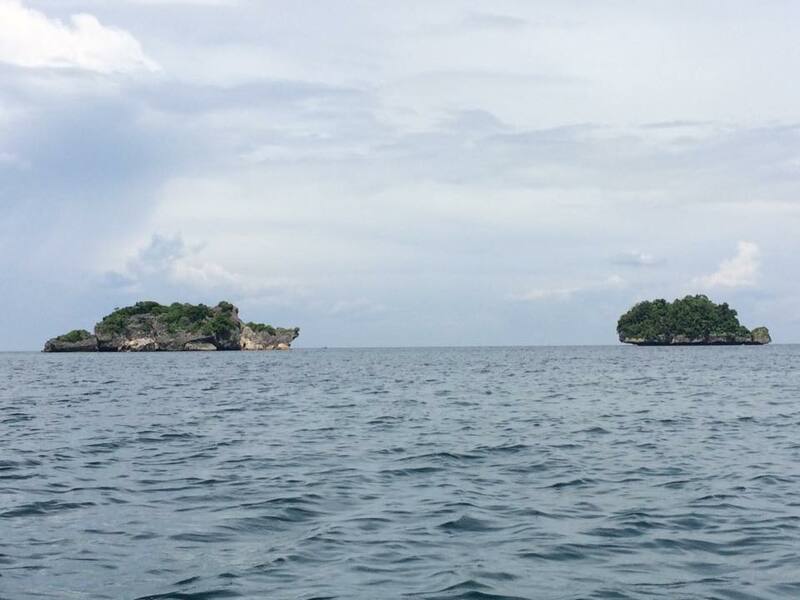 Except for a number of caretakers in the various resorts, the Hundred Islands was practically deserted. We have a similar attraction here in Canada called the Thousand Islands. I would sure like to visit the Hundred Islands in the Philippines as well. Looking at your pictures, it also reminded me of Coron, like you mention. I think the trip, although long, looks like it was definitely worth it.